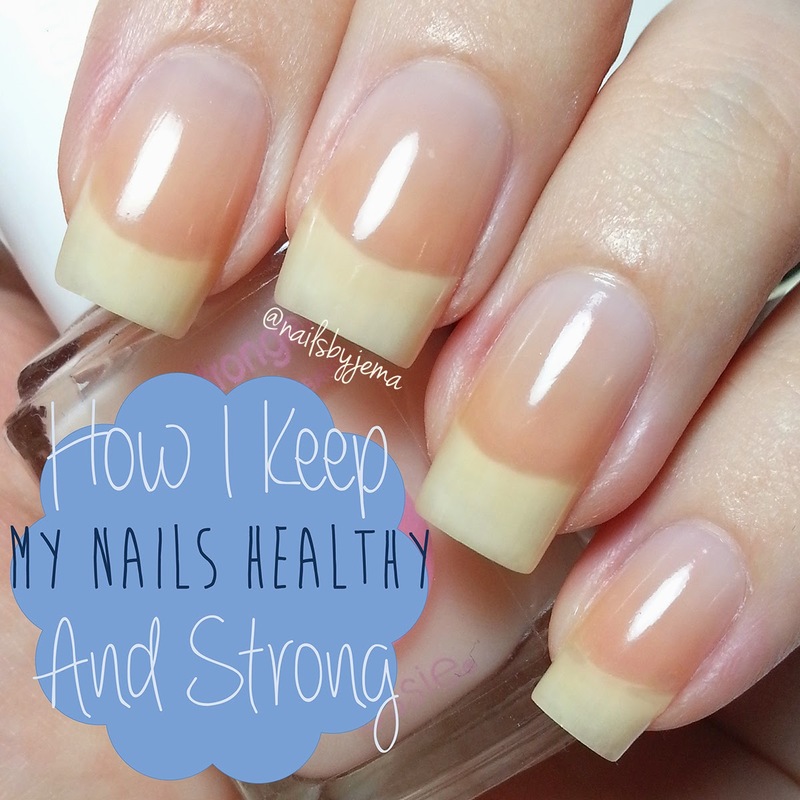 N A I L S B Y J E M A: My Nail Routine & How I Keep My Nails Healthy & Strong!! Let me start by saying that something that works for me MAY not work for you too. We are all different, and even though they seem the same, so are our nails and nail production systems. Some products might work for you, others might not. I’m just going to show you what works for my nails and hopefully they work on yours too. Firstly, and the single most important thing to having healthy nails, is water. As cliché as it is, if you aren’t getting enough water during the day it shows in your hair skin and nails the fastest. Nails are just dead cells but dehydration will affect the matrix or half-moon in your finger that makes the nail under the cuticle and it will produce weak and damaged nails. Try and drink those 8 glasses a day minimum. 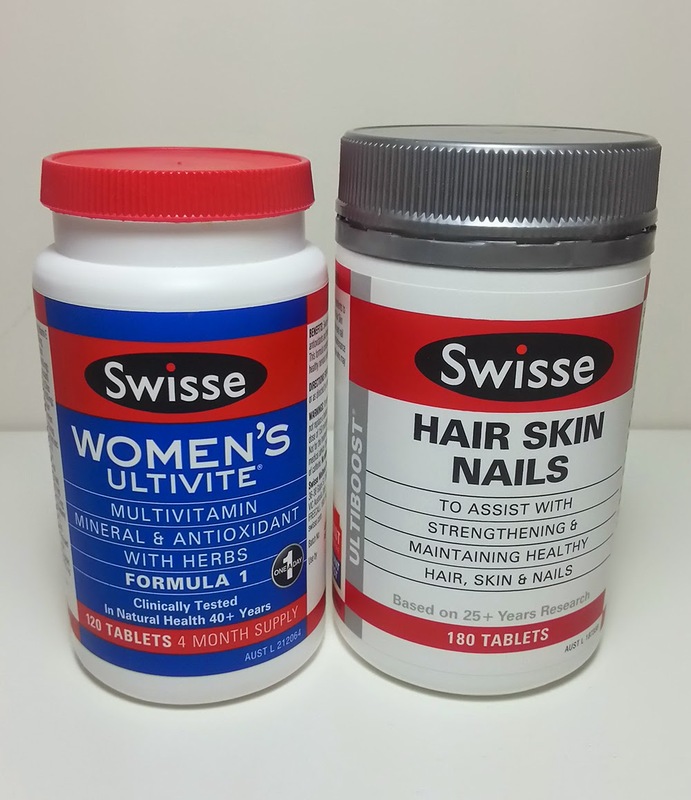 Secondly I take both a Multivitamin, for general health and a vitamin specifically made for Hair, Skin & Nails to assist with strengthening nails, every day. I prefer the brand Swisse because it is an Australian brand and the good news is, it is also now available in Walgreens stores if you are in America or from www.swisse.com.au if you are international. I have been taking the Multivitamin for about two hears now for general health and the Hair, Skin & Nails one for about 4 months. I can definitely see the difference in my nails in that short time. The multivitamin contains most of these ingredients also but in smaller doses because of how many other ingredients they contain. I think the combined vitamins make them so much healthier and stronger. Definitely recommended. I usually get them while they’re on sale because everything in Australia costs more. The 120 Multivitamins cost me $22-$25 and the 180 Hair Skin & Nails set me back $22-$30 depending on the discount. You can also get them in bigger sizes which makes them better priced. Aussies, I recommend getting them at Chemist Warehouse over the supermarket as they have better sales and a wider range of quantities available (60/100/120/180 tablets). Drinking water and taking vitamins means that your matrix and nail bed will be producing great quality nails from the start. The next important thing is you need to moisturise, moisturise, moisturise!! ESPECIALLY in Winter when the air is dry. Dry hands and nails means they will snap and break a lot easier. A moisturised nail will flex and bend when it’s bumped and is less likely to break. I use a few products to keep my hands moisturised and if you keep using them daily it will become a habit to put them on without even thinking about it. I always find myself reaching for my hand cream through the day when my hands are too dry without even realising I am doing it. 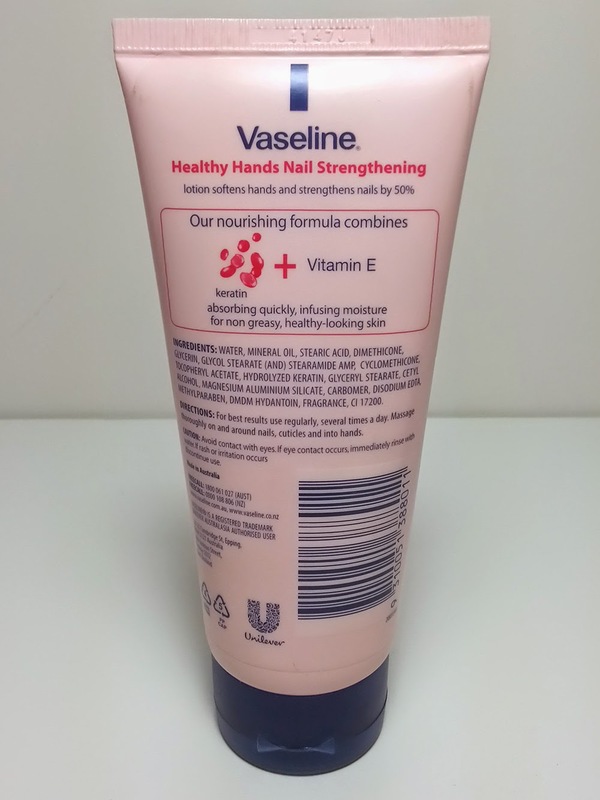 The hand cream I use is made by Vaseline. In my opinion it’s the best because, unlike most hand creams, it doesn’t leave an oily residue on your hands after you use it and has no super strong florally scent. My nose is really sensitive so I don’t that in my life haha. My boyfriend says it smells like sunscreen and I can agree with that a little that it does while you’re applying it, but a minute later after it has absorbed, the smell is gone. It also has added Keratin and Vitamin E that will absorb into the hands and cuticle and help with the production of strong, healthy nails. It is also really important to apply it after EVERY time you wash your hands. Hand soap has harsh chemicals that will dry your hands out so keep one stashed next to each sink in your house and in your handbag/school bag and apply after you dry your hands. 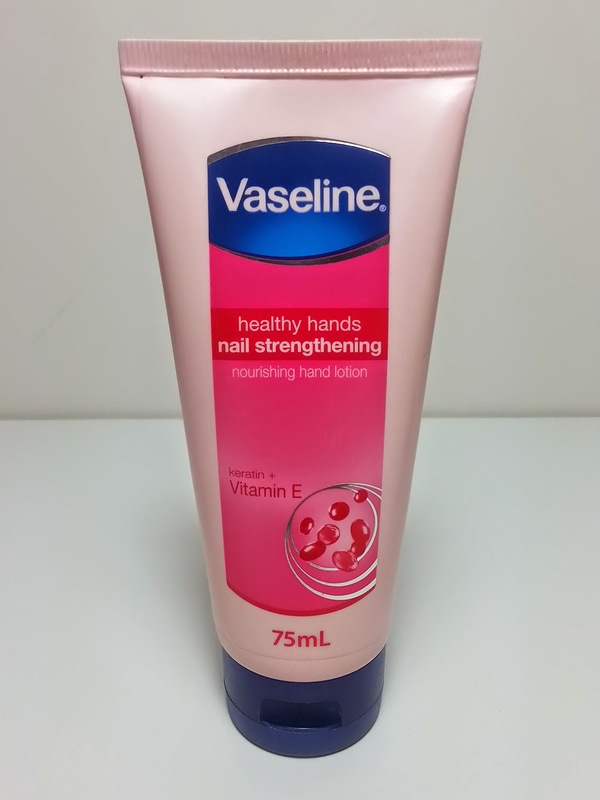 The Vaseline hand cream is available for us Aussies at Coles and Woolworths for about $4.60 each but I recommend buying a few so you don’t need to search for one when you need it. The hand cream is great for all over moisture, but for a more concentrated moisture hit to your nails you should be using a cuticle oil or cream. I have both, and use the one best for what I am doing or how dehydrated my nails are. 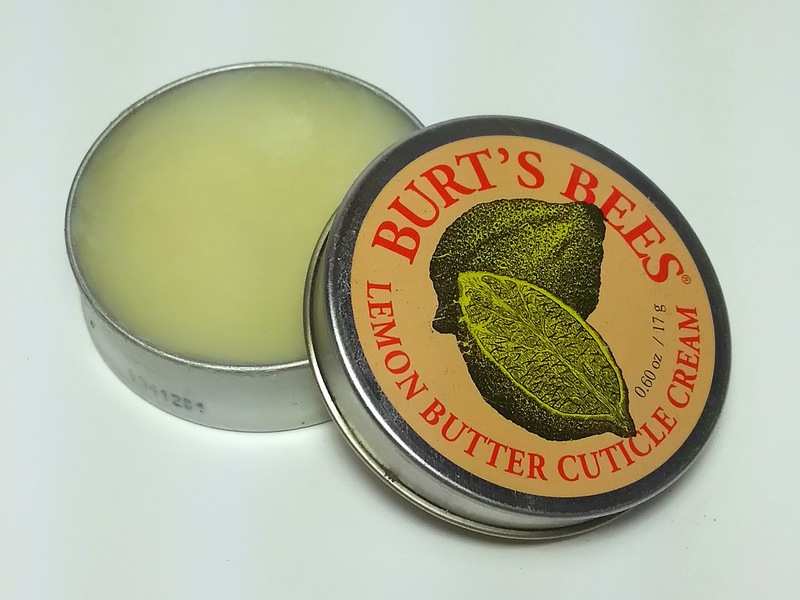 My daily cuticle cream is by Burt’s Bees. It’s amazing!! It smells absolutely divine doesn’t leave my hands waxy or oily or sticky.. It just absorbs quickly and leaves my cuticles nice and moisturised. I currently have 4 of these in my house. One in each place I spend the most time just ‘relaxing’ and one in my handbag for those times you’re out and notice how dry your cuticles are. I use three different cuticle oils and they are stashed all over my house but I always keep one next to where I photograph my nails. Putting some oil around my nail is a great quick tip for getting good cuticles in your nail photos if you are a nailer like me. Nail oils are a great deep moisture treatment option and essential for the colder months where your nails are a lot more brittle and dry. During winter, I paint a small amount of oil underneath my free edge to soak in under the nail and really give it a good treatment. Two of my oils are made by OPI and one is one I brought from a nail salon and smells like grape. I’m a sucker for anything grape, cherry or coconut scented! And then there is the ultimate cuticle treatment. 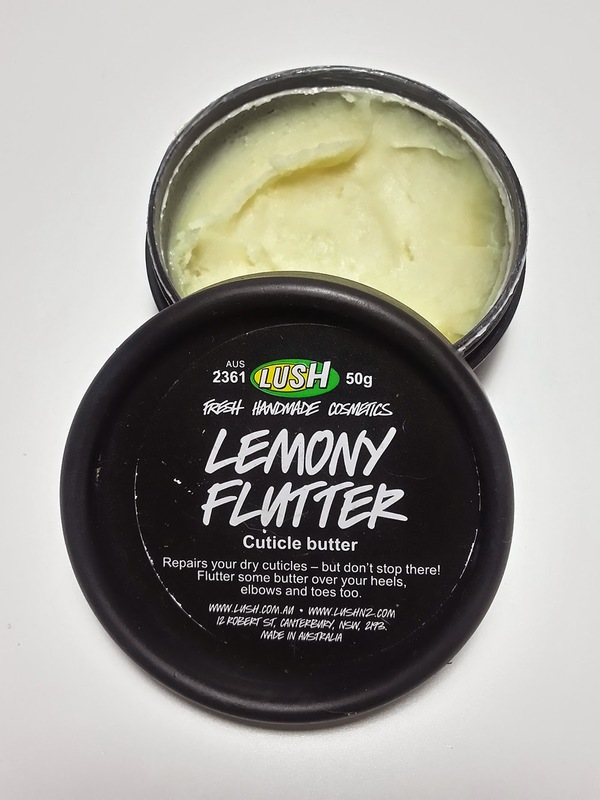 LUSH Lemony Flutter. I don’t use this too often because it leaves my fingers quite oily and sticky and in my house that usually means covered in loose cat hair if I touch ANYTHING, but during winter or those really dry days I put this on before bed as a great super treatment overnight. 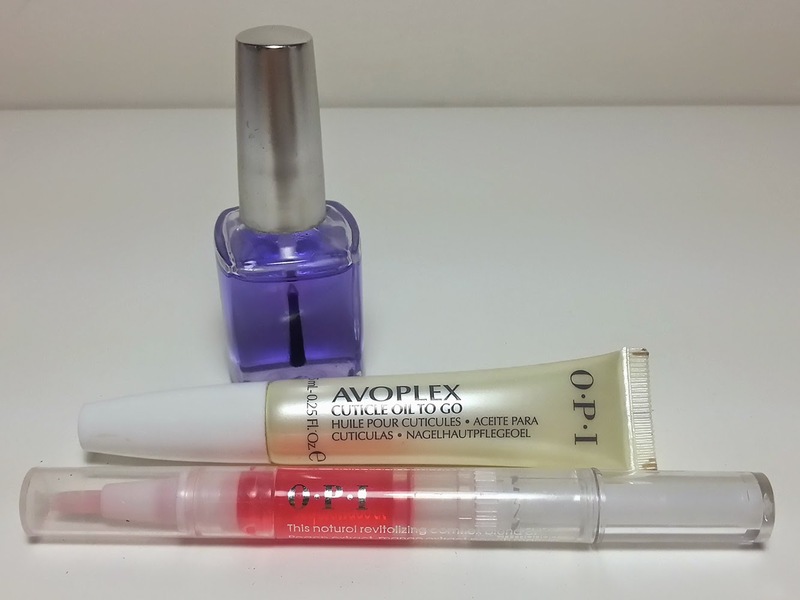 It is amazing at fixing your cuticles but unfortunately it is really sticky. A lot of people don’t mind it at all though so it’s definitely worth the purchase for winter treatment. I never use acetone on my nails to remove polish. 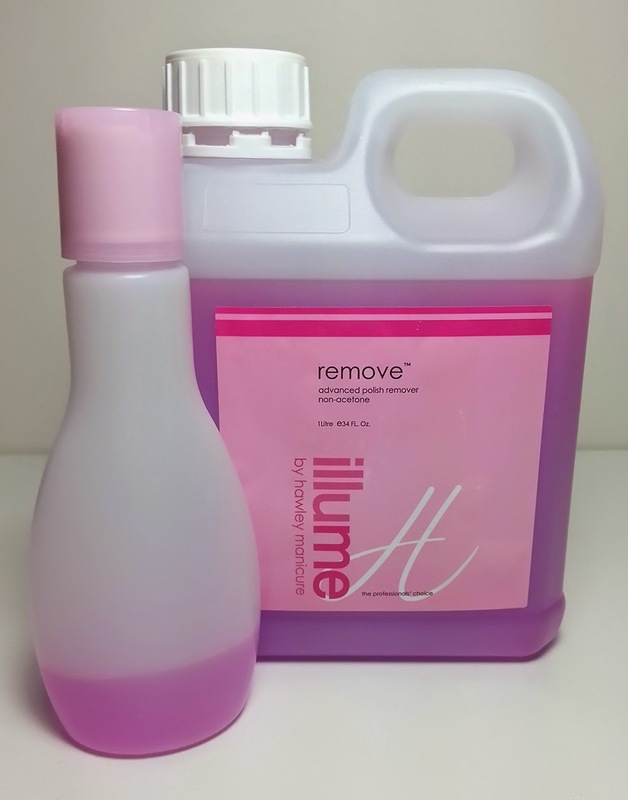 I only use a non-acetone nail polish remover and ALWAYS wash my hands after I remove my polish. You don’t want those chemicals penetrating your nails. 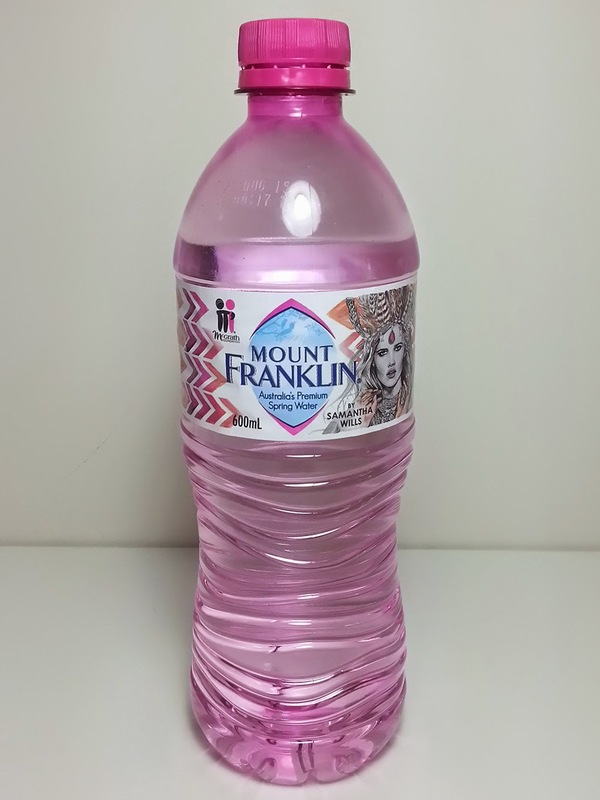 I don’t have a specific brand I use but these 1L/34oZ bottles are a lot more cost effective for me since I am always using it. I can get a bottle for about $9 from beauty supply stores. The Essie ‘Grow Stronger’ base coat. Please don’t think you can just buy a treatment polish and paint it on and have your nails be strong and healthy. This is what the companies want you to think. Healthy, strong nails are made from inside the cuticle. Once it grows out it is dead and can’t be changed or made stronger except with an overlay (which I don’t recommend as they usually require a layer to be filed from your nail to make a rough base for the overlay to adhere to). Grow Stronger is enriched with organic ingredients including vitamin E, Gingko Biloba, other herb extracts and mineral strengtheners. You can get it in Australia from Priceline, Myer or David Jones for $19.95. I don't use strengtheners on my nails as they make them snap very easily. I find as soon as I use them on my nails that if I bang my nail, instead of bending and flexing they will just snap and crack. Strengtheners should only be used if your nails are very damaged from acrylics or gel polishes. Make sure you push your cuticles back a couple of times a week. I do mine with my fingernails on my other hand after my showers so they are soft and loosened from the nail. After they have dried, a few hours later, trim off any extra cuticle using cuticle clippers. But if you really catch your nail hard on something, no amount of vitamins, creams or oils will save it. Sometimes breaks just happen. Which is why you need to be careful with your hands. I find that 90% of my breaks happen when I'm being careless.. I'm reaching into the washing machine quickly, I am trying to open a drawer quickly, etc. Slow down, be aware that your nails aren't made of steel (or acrylic) and be careful. But if they do break, rock those nubbins girl! Hope this post helps you get the nails you want. 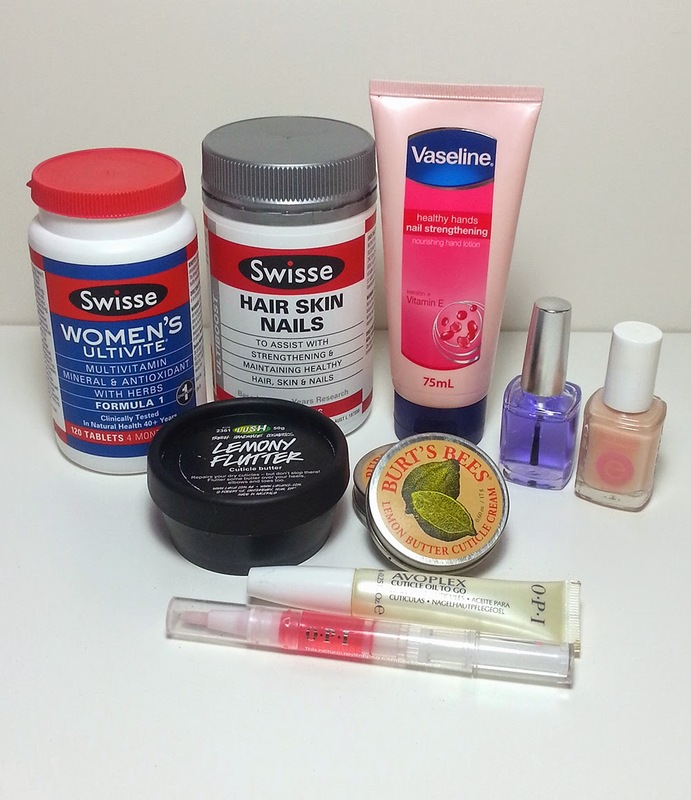 If anybody wants more discounts on nail care Products, Who can check for best an Online Discount Pharmacy in Australia.